In this modern era, where technology grows by leaps and bounds every year, most industries now depend on digital advancements for continued success. This is particularly true within the gaming industry, where traditional consoles are now being replaced with innovative offerings such as virtual reality. Otherwise known as VR, virtual reality is predicted to become the most influential game changer since the internet first made online games a reality, particularly for the iGaming industry. According to a report published by Tech Crunch earlier in 2017, the virtual reality/augmented reality (AR) market will be worth $108 billion by 2021, so it’s no surprise that iGaming developers such as Microgaming and Playtech are already investing in VR technology. This is especially true when we consider the fact that the casino industry has managed to stay on the brink of modern technology for many decades now, often adopting different platforms and systems before its console or PC counterparts. Of course, software developers and online casino operators aren’t capitalising on virtual reality technologies just to stay current. Arguably, the casino industry has always adapted to ensure customers receive the best experience possible. This is why land-based casino brands decided to create online presences, so that customers could reach their favourite games without having to lift a finger, never mind travel from around the world. Meanwhile, sites such as Australia’s own pokies.com made titles including slots, table games and scratches even more accessible and fun by creating multiple platforms on desktops, tablets and smartphones. By introducing VR technology into iGaming, the online experience will become even more enjoyable, authentic and accessible than ever. This is why a variety of gaming specialists such as GameAccount Network (GAN), Oculus Rift and Casino-VR are already focusing much of their effort on crafting VR services that will improve gamers’ experiences. 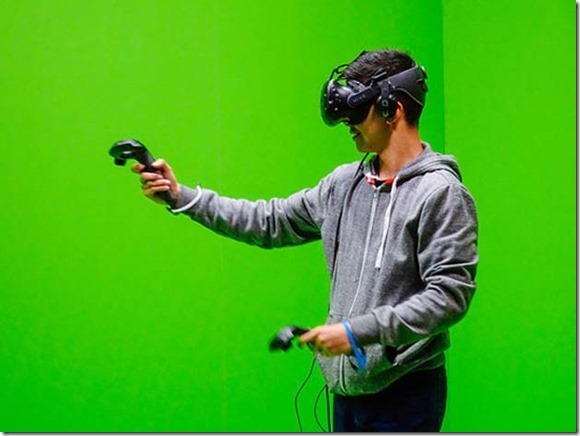 Fortunately for trendsetters like Smurfit, headsets, VR-centric casinos, VR apps, VR glasses, VR consoles and 3D gaming tech is very much available, these companies simply need to apply them. There are a number of sites and software systems available at this time that have done this, but they are yet to go mainstream. This is possibly due to the fact VR products are still relatively expensive to buy, especially for the individual gaming fans that the online casinos wish to reach. According to PC Mag Australia, a PS VR headset currently costs $400, with up to $160 in accessories, while an Oculus Rift is $500 and the HTC Vive is an astonishing $800. Thankfully, there are a number of untethered mobile VR headsets that were recently released including the Google Daydream ($79) and Samsung Gear VR ($130), but these are played using a mobile phone, which some gambling fans may not prefer. For now, it seems as though we will have to wait for virtual reality pokies to truly come into their own. Right now, we are witnessing the first steps towards a true VR casino experience, and hopefully, the real thing will be worth the wait.